As Buster Posey stepped in to face Raisel Iglesias in the bottom of the ninth on Thursday night with a man on first and the Reds clinging to a one-run lead, a funny thing happened: I got nervous. I didn’t notice it right away, but with every pitch Ã¢â‚¬â€œ and there ended up being an agonizing, torturous seven of them Ã¢â‚¬â€œ I began to squirm more and more to the point where I couldn’t wait for the at-bat to end. There have been times where I’ve felt similarly over the past three seasons, but only when attending a Reds game in person. Then, regardless of whether it’s a meaningless spring training game or a nail-biter against a division rival, I really, really want the Reds to go, and go often. Watching from afar is a bit more impersonal, though, and since these past few years haven’t required the same degree of emotional investment as the four years prior, I’d forgotten how it felt to watch the closing moments of a game that felt like it mattered. Going into this season, I tried to temper my cautious optimism with a healthy dose of realism. That’s different from being pessimistic, mind you Ã¢â‚¬â€œ I’ll leave that to Twitter trolls and radio announcers Ã¢â‚¬â€œ but although I enjoyed the occasional fleeting Ã¢â‚¬Å“what if?Ã¢â‚¬Â fantasy, I lowered my expectations and thought that I’d enjoy this season more if I didn’t have high hopes for the Reds’ prospects. Even when they got off to a hot start, I figured they’d level off in short order and wasn’t at all surprised Ã¢â‚¬â€œ or even that disappointed Ã¢â‚¬â€œ when 7-2 quickly turned into 10-13. I even wrote a piece here that looked at other recent Reds teams who experienced early success before crashing and burning. After the Reds bounced back from losing eight of nine to win nine of 11, however, I began to believe. I realize there’s plenty of baseball still to be played, that the rotation is in shambles and that the odds are long, but for the first time since the Reds fired Dusty Baker Ã¢â‚¬â€œ a move I supported fully Ã¢â‚¬â€œ I truly feel like the future is bright. 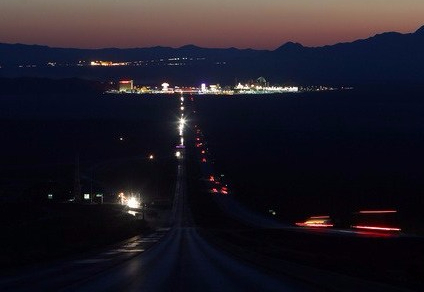 It reminds me a bit of driving to Las Vegas at night, when you’re surrounded by nothing but desert darkness until you turn one corner and suddenly see an incongruous glow in the distance. You might not be there yet, but you can see that you’re close. That said, I thought it might be fun to take a closer look at some of those same recent Reds teams who started strong before puttering out, just to see how they fared when faced with adversity. Interestingly, some bounced back in a similar manner to the 2017 Reds, which might be all the more reason not to cancel your October vacation plans just yet Ã¢â‚¬â€œ but still, it’s encouraging that this year’s club has already shown more resiliency than other recent teams. The good: A 15-10 start saw the team tied for first going into play on May 2. The bad: Over the rest of May, the team won just five of 27. Did they rebound? No. While the team’s June record was a not-horrible 12-15, an eight-game mid-month losing streak quelled any hopes of contention. They didn’t play .500 ball again over a calendar month until September. The good: A 17-9 start and a five-game lead going into play on May 17. The team was 11 games over .500 after a May 30 win and still 10 over going into play on June 16. The bad: From June 16-24, the team dropped eight straight and saw their one-game division lead turn into a three-game deficit. Did they rebound? Yes, at least at first. After the losing streak, the team won six of seven to battle their way back into a tie for first following a July 1 victory. The bad (part two): From there, the Reds lost seven of nine. Did they rebound (part two)? No, as they were never able close the gap to less than two games, which was the size of their deficit after an Aug. 11 win. The wheels then fell off for good, as the team dropped nine of 11 (after which they were 8.5 games back) to dip below .500. They wouldn’t make it back above that mark and finished the year 19 games back. The good: Following a June 6 win, the Reds were 34-22 and held a 2-game lead. The bad: From June 7-14, the team dropped seven straight on the road, a stretch during which they were outscored 43-74. (A three-game sweep by the A’s was particularly ugly, as the Reds gave up double-digits each night, losing 2-13, 6-10 and 8-17.) The losing streak saw their two-game lead become a two-game deficit. Did they rebound? Initially, it appeared so, but it didn’t stick. After the losing streak, the team returned home and swept a three-game series against Texas, which took them back to eight games above .500. They were only one game shy of that mark going into July, but that month won just nine of 27. Their overall second half record was 29-45. The good: The team began the year by winning 17 of 25 and were 12 over (with a slim half-game lead) after a June 8 win. The bad (part one): A five-game losing streak began on June 9. After an extra-innings walkoff win on June 14 temporarily stopped the bleeding, the team was swept at home by the White Sox in a three-game series that saw them outscored 11-28. The bad (part two): The team opened July with a six-game losing streak. By July 26, they were 5.5 games back. The bad (part three): The Reds closed out August with another six-game losing streak, after which the team — now .500 — was 4.5 games back. Did they rebound (part three)? Not this time. The team dropped 10 of their next 16, a stretch thatÃ‚Â saw them fall seven games out of first. They then managed to win 7 of 10 to eke their way back to the .500 mark with two games left in the season, but they failed to score in either and wrapped up the year at 80-82. The good: A 20-14 start saw the team tied for first after a May 13 victory. The bad: They dropped their next four and fell 4.5 back. Did they rebound? At first, yes, as they won six of eight to close the division gap to 1.5 games. The bad (part two): They then lost 11 of 16, followed by a dreadful July in which they won just 8 of 27. Did they rebound (part two)? Not immediately, as the team went 13-16 in August before winning 18 of 27 in September. By that point, however, the season was a wash. The good: The Reds held 1.5-game lead and a record of 25-17 going into play on May 18. The bad: The team fell to .500 by dropping their next six and then lost four of the following six games to boot. Did they rebound? At first, yes. The team opened June by winning 9 of 14, but they’d be two games under .500 by the All-Star break and played two-under ball in the second half as well. The good: The Reds were 15 games above .500 after a June 19 walkoff victory. The bad (part one): The team lost six of their next seven. Did they rebound (part one)? Initially, yes, as they won four of their next five. By July 25, they were back to 15 over. Did they rebound (part two)? With authority, as they won 13 of their next 18. Over the month that followed, they’d raise their record to a season-high 23 games over .500. Did they rebound (part three)? One could make a compelling case that they still haven’t adequately done so. In the context of the 2013 season, though, the answer was no, as the team got steamrolled by Pittsburgh in the Wild Card game. The good: As the first half came to a close, the Reds were seven over .500 and just 1.5 back in the NL Central. The bad: The second half opened with a seven-game losing streak. Did they rebound? Sort of, as they won nine of 16. They then dropped three straight to fall below .500, though, and would never claw their way back above that mark. The good: A four-game winning streak opened the season and caused Joey Votto to temporarily turn into Shaft. The bad (part one): Reality struck quickly, as the team dropped seven of their next eight. Did they rebound (part one)? After winning three straight to bring their record to 8-7, it initially appeared they might. Twenty games later, they were still one game over .500. 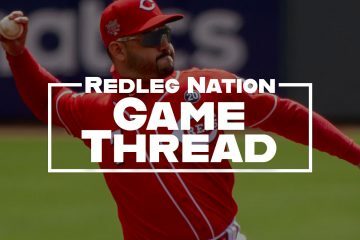 The bad (part two): From May 15-25, the Reds did not win a game. Did they rebound (part two)? Somewhat at first, as they won four of their next five and 10 out of their next 16. That only brought them within four games of .500, though, and they never improved on that mark. The team lost 44 of their final 62 games that year. So, what does this mean for the 2017 Reds? Your guess is as good as mine. We study history to learn from the past and to avoid repeating its mistakes, but I realize it’s not entirely fair to compare this year’s squad to another year’s. Still, perhaps in five months we’ll be able to draw parallels to one of the above seasons Ã¢â‚¬â€œ or better yet, to another that had a happier ending. I just hope I’ll have some fingernails left by then. MLB is a zero sum game played between the margins of .500. Essentially only very good teams, usually in a division with also one or more very bad teams, win as many as 60% of their games; and, only very, very bad teams win less than 40% of their games. Witness our Reds being the second worst team by record the last two years and still winning 39.5% and 42% of their games in those seasons. It seems obvious; but, games that are lost can’t be gotten back; and, games that are won can’t be taken away. The key to success is to minimize and cut short bad spells and push hard to extend good runs. Yes, George Will had it. Everyone leaves ST 60-60. its the other 42 you play for. I’m totally invested in this team. The last two seasons apathy began by Mid-May. This season I firmly believe that the Reds can stay in contention. Other than the Nationals and the Cubs no NL team is dangerous. After the hot start, even even I started to have a tiny amount of hope, but then we all know what happened after that. I was a little upset for letting myself start to believe so my cautious optimism is back and stronger than ever in spite of the team’s recent hot play. It just still feels like the cradle could break to me. The Emerald City is getting closer with every game.